Rogue, the most valuable hero from the first season of the 2018 Fantasy Comic League, kicks off the final month with another dominant performance. The X-Man-turned-Avenger-leader stars in four books and totals 15 points for her second “Hero of the Week” title; her first time as the sole possessor of the rank. Black Panther and Storm split second place with a 13-point performance from both. Each half of the power couple appeared in two books T’Challa scores his points using a variety of powers while Ororo uses two character development points to boost her score. Peter Parker finishes in fourth place with 11 points as his comic builds closer to a milestone issue and another showdown with Norman Osborn. Falcon scores 10 points but shares his fifth place with the Infamous Iron Man, Victor von Doom. Doom is the surprise performer of the week when he unexpectedly shows up in three books. Captain America and Kitty Pryde follow in seventh place with nine points. The two leaders join forces in the first issue of Venomized to rally symbiotes and heroes in the fight against the Poisons! 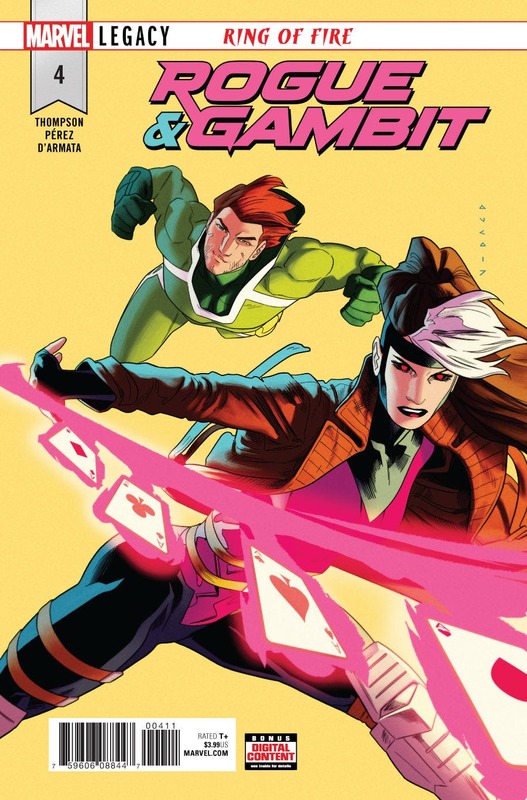 Gambit takes ninth place with eight points, his best week when drafted in the League. The Venomized event rounds out the top heroes. Logan, Ms. Marvel, Thor and Venom are four of the five heroes to score seven points and tie for tenth place. Magik, the fifth member of that tie, earns her points with her old team, the New Mutants, and with her new team, the Gold X-Men team. The latest chapter in the Avengers: No Surrender event features more heroes than the majority of their recent entries. However, the story serves as a resetting of the stage before the big finale, so most of the points earned by the heroes are simply appearances and team-ups.